The vending machine is basically the only thing that keeps most office drones from either going totally insane or falling asleep every afternoon. 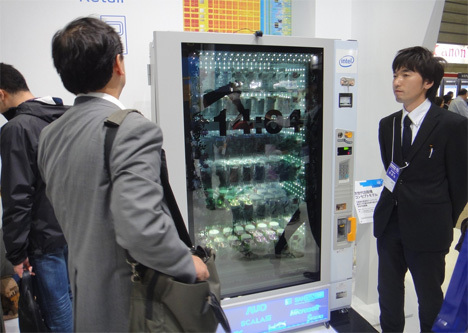 Those delicious sugary treats behind that Plexiglas pane are pretty great on their own, but a Japanese vending machine manufacturer wants to put even more awesome into your afternoon snack routine. 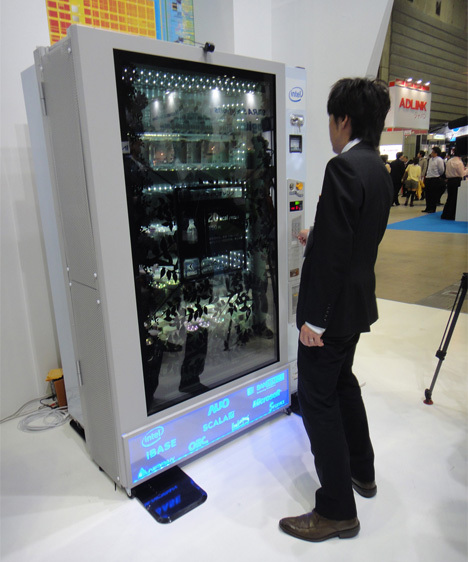 Sanden has developed a futuristic machine with a 65-inch touch screen display. The display takes the place of the regular transparent sheet of protective plastic between you and the rows of Twinkies. You can see the products inside through the screen, but you can also see graphics, animations and text on the screen. 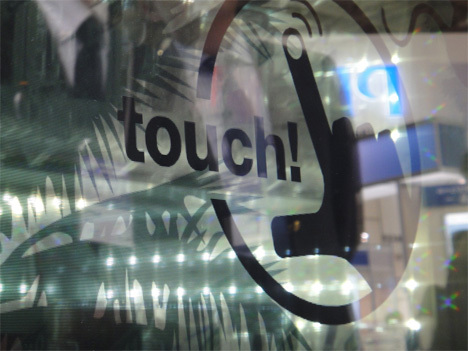 When no one is around, the display shows the time and some fun animations to attract the attention of potential customers. Stepping up to the machine activates its facial recognition software. If you are a known customer, the machine greets you with product recommendations. If you’re new to the machine, it uses anonymous facial recognition to figure out which demographic you may belong to and make recommendations accordingly. The company behind this slightly creepy (but ultimately cool) Minority Report-type machine wants to use it to sell higher-end items like cosmetics and wine. Their idea is so sophisticated and flexible that it could be used for any number of things – the only limit is the imagination of the user. See more in Futuristic or under Technology. December, 2011.